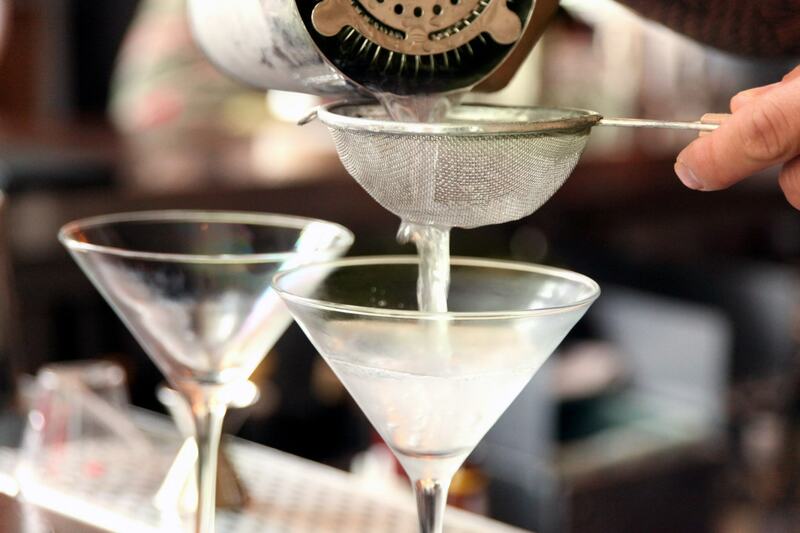 Long considered a polarising serve, the Dirty Martini is a beautiful drink when done right. With this advice in your back pocket, it's simple to stir up a flawless rendition of the cocktail. The Dirty Martini has long been associated with controversy. 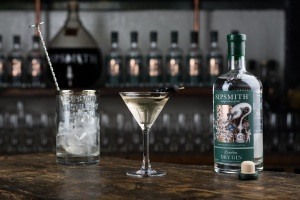 Purists turn up their noses at a gin drink that, in their view, is spoiled with lashings of piquant brine. Enthusiasts, on the other hand, adore its savoury, saline attributes. For our part, we can certainly appreciate a Dirty Martini—though it’s vital to steer clear of the poorly made iterations out there, which are numerous. Read on for our tips on how to make the perfect Dirty Martini: one so good that even the staunchest critics might change their minds after a sip. Olive brine is the Dirty Martini’s main distinguisher, so don’t just use any old liquid from the half-empty olive jar in the back of your fridge. But you needn’t be overly prescriptive, either. As our Head Distiller Jared Brown advises, find the olives that most appeal to you and use the brine from those. Still, the sky’s the limit when making a perfect Dirty Martini: “Try brine from anchovy-stuffed olives for a radical twist. Try the brine from unstuffed and pimento-stuffed olives,” as JB counsels. Don’t be afraid to experiment. And in terms of proportions, a couple of bar-spoons should do the trick—you still want to taste the nuances of your gin, after all. A Dirty Martini still qualifies as a Martini, so you'll want to treat it with the appropriate care and attention (if not reverence). Despite what the naysayers might say, the Dirty Martini is still a Martini, which means you’ll want to approach it with due reverence (and brush up on our Martini-making tips while you’re at it). “With any Martini, the goal is to make the liquid as cold as possible (within reason: put the liquid nitrogen down before someone gets hurt),” says JB. To this end, your olives should be stored in the fridge, and your glasses well chilled before you mix—preferably keep them in the freezer until they’re needed or, if they’re stored in the cupboard, fill them with ice water first-thing. Additionally, it’s of vital importance to stir, not shake, your Martini—shaking breaks off tiny ice shards which disrupt the texture and overly dilute the drink. Instead, stirring guarantees a velvet mouthfeel and helps control dilution (particularly in light of the brine, which is an added form of dilution—give your Dirty Martini a few stirs shy of what you’d normally do). Don't be afraid to experiment with your garnish. Olives are the natural garnish choice for a Dirty Martini, but as JB points out, you can do better than just fishing them out of the jar. Instead, he recommends separating the olives from their brine and storing them in a jar of dry vermouth for about a week, which imparts an added complexity (and is a good way of moderating the vermouth proportions in your Martini). You can also garnish with a different variety of olive than the one that corresponds with your brine; an anchovy- or blue cheese-stuffed olive can add a dash of flair.